In 1970 Rauschenberg moved from New York to Captiva Island in Florida. Here he set out to break with his formerly urban themes, but rather than becoming interested in the natural materials in his new environment, he began to make use of commonplace cardboard boxes. 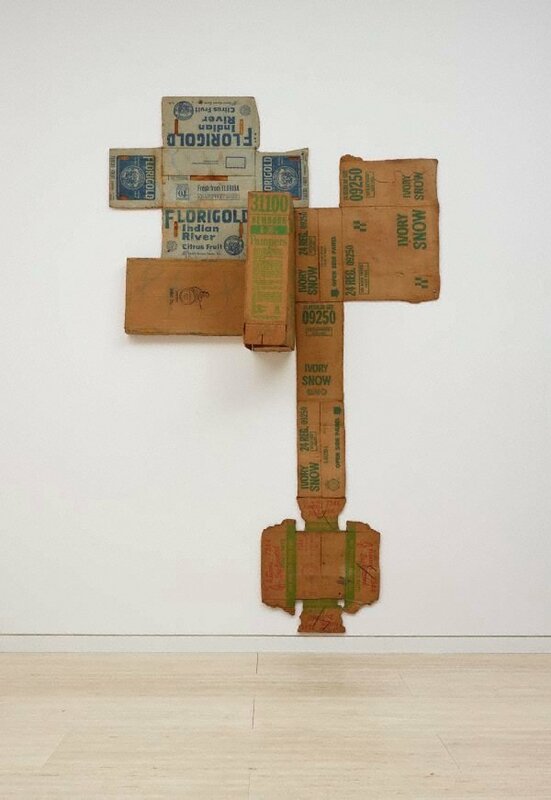 Rauschenberg usually flattened out the boxes, revealing the structural elements of their original form. Occasionally colour was applied and different boxes assembled into one piece. Boxes are associated with transport and movement, as well as past function and trade. They also carry the evidence of a simple geometric logic of folding, including crosses and, sometimes – as with Rauschenberg’s 'Cardbird' series – bird-like forms.